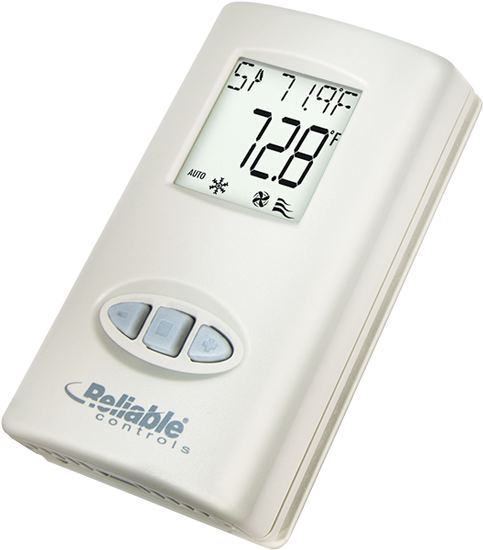 Reliable Controls is pleased to announce the release of several new optional features to the popular SMART-Sensor line of products, providing added functionality while opening the door for more customized installations and promoting the right device for each unique space. Standard SMART-Sensors can be ordered with an optional override button to indicate occupancy during unoccupied periods, and an up/down button option for setpoint adjust. The SMART-Sensor packs a tremendous amount of measurement capability into a small, wall-mounted package.